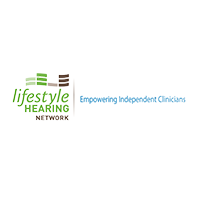 Lifestyle Hearing is a network of independently owned hearing care clinics with over 70 locations throughout Canada. These clinics provide customers with hearing care services including hearing assessments, hearing conservation recommendations and rehabilitation services including hearing aid evaluations, fittings and follow up care. As a result of its focus on excellent service and customer care, the company has grown rapidly from 2 employees to over 130 and continues to expand across Canada. This rapid growth of Lifestyle Hearing created many IT complications within the company. New departments and roles needed to be created and formed on a regular basis. Since they started as a small company, many employees had responsibilities which included several roles that required definition as the company grew. This meant that user accounts needed to be created in multiple systems and tighter controls needed to be put in place. Franco Butera, IT Director at Lifestyle said, "This task took about half an hour for IT to complete, and that was only if we had all the correct information from the beginning. If not, we had to track down the employees in an attempt to get the information, and wait for a response which could take up to an hour or more." It was critical to insure all information is correct such as credentials for doctors since they are operating in the healthcare arena. All of this work was taking valuable time away from the IT department, but could not be completed by department managers due to lack of technical know-how. Butera knew just how to solve these problems due to his positive experiences with Tools4ever's User Management Resource Administrator (UMRA) at previous companies. He had come in contact with and utilized UMRA at both a larger telecommunications company in Canada and a higher education facility in Bermuda. Both projects had been extremely successful and had easily solved all of the account management issues at both organizations. Tools4ever implemented UMRA at Lifestyle Hearing in a three phased approach. "The entire process was exceptional, from gathering the requirements, to deployment, to the types of resources Tools4ever provided." Tools4ever was able to promptly implement the solution and get it up and running to start creating accounts in just the first phase. "The Project never slipped away, and was completely controlled. I was juggling many complex projects at the time, and Tools4ever"s UMRA was by far the easiest to work on." Tools4ever was also even able to customize the solution to meet Lifestyle Hearings needs by building a connector to the company"s procurement resource system, Coupa. "I have seen it manage thousands of accounts without any issues. It's a must have application for companies of any size!" UMRA completely eliminated the account creation process from IT and it is now handled entirely through the human resources department. Before UMRA, IT was a bottleneck due to the fact that they often had to handle other important tasks and were not able to create accounts quickly for new employees. HR now has controlled access through a web based form to create an account which allows them to easily enter the employee's information, define their profiles and which systems they need access to. Lifestyle Hearing previously had a 4 to 5 day window for account creation, but with UMRA, employees are now able to have their accounts created right away and start working the same day they are hired. "Tools4ever's UMRA saved our IT department a significant amount of time in the long run. IT at Lifestyle Hearing no longer has to even hear about account creation and can focus on more important issues." Franco stated, "If you multiply the amount of time it took for IT to create an account by the number of accounts that we need created and edited, the savings is substantial." UMRA is also able to track and audit account management Lifestyle Hearing so that it easily meets all audit requirements. "I have seen it manage thousands of accounts without any issues. It's a must have application for companies of any size!"